Join us to achieve ultimately deep relaxation and quiet mind. Please call 310-451.0598 Home/studio(9-6) or bea@yogability.org to confirm class time and location and fees. ~Deep Relaxation ~ Meditation ~ Quiet Mind ~ No experience necessary! 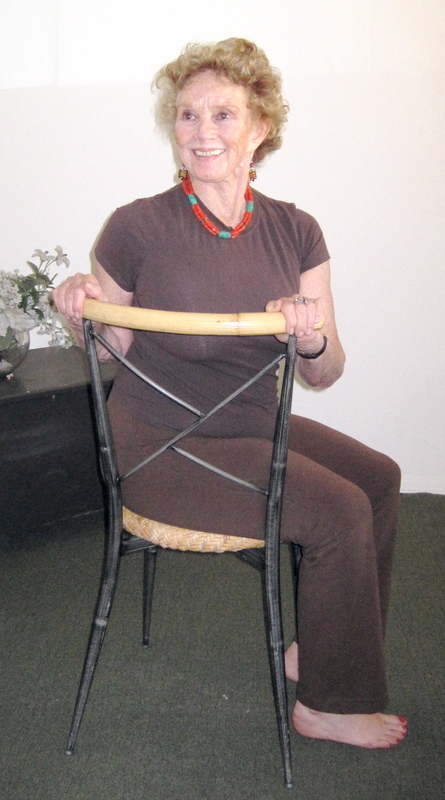 *Bea Ammidown, certified Yoga Therapist with over 40 years of practice that includes trainings for Childrens Hospital LA, Kaiser Permanente, Los Angeles Caregiver Resource Center & AARP. YOGA THERAPY WITH WRITING with Bea Ammidown. since 1986, ( fluent in Spanish and French) and is the Executive Director of YogAbility www.yogability.org; a company that takes a therapeutic approach to yoga for people with special needs or disabilities. Comfy Chair Yoga Free for members. .Utilizing chairs and walls, class begins gently and leads to an individualized practice. Students are guided into simple poses using breathing exercises to follow safe movements that increase motor skills, strengthening muscles and bones and leading to deep relaxation and quiet mind.